Dr. Gwendy Reyes-Illg currently works as an emergency veterinarian for companion animals. Her past experience is diverse. She served as founding veterinary director for the chimpanzee sanctuary Project Chimps, provided veterinary care for dogs and cats in Colorado and Pennsylvania, and volunteered for wild animal sanctuaries in Cameroon and Uganda. Dr. Reyes-Illg recently earned her master’s degree in philosophy at Colorado State University, with a focus on animal and veterinary medical ethics. She also holds a bachelor’s degree in zoology and a Doctorate in Veterinary Medicine from the University of Florida. Animal advocacy has long been Dr. Reyes-Illg’s passion. A vegan for over 20 years, she works to raise awareness of and improve the plight of animals in a variety of settings. In college, she campaigned successfully for a voter-initiated state ban on sow gestation crates and implemented an environmental enrichment program for pigs subjected to intensive confinement. As a veterinary student, she developed a Willed Body Program to provide ethically-sourced cadavers for equine anatomy courses. She also launched Helping Alachua’s Animals Requiring Treatment and Surgery (HAARTS), a program that to date had helped save the lives of over 2,000 homeless pets while providing an alternative to terminal surgeries in the veterinary curriculum. 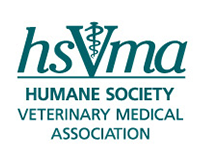 Dr, Reyes-Illg currently serves as a member of the HSVMA Board of Directors.